I'm certain there are some people here who do the mad thing of dressing up as a character from something, so here is the topic to share your photos and such! 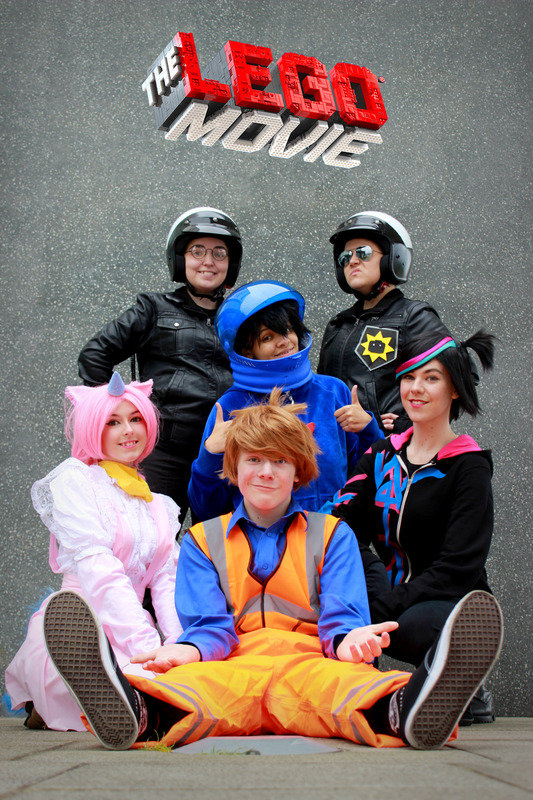 That's me as Emmet at the front, the Wyldstyle is my sister and the others are friends of my sister and I. 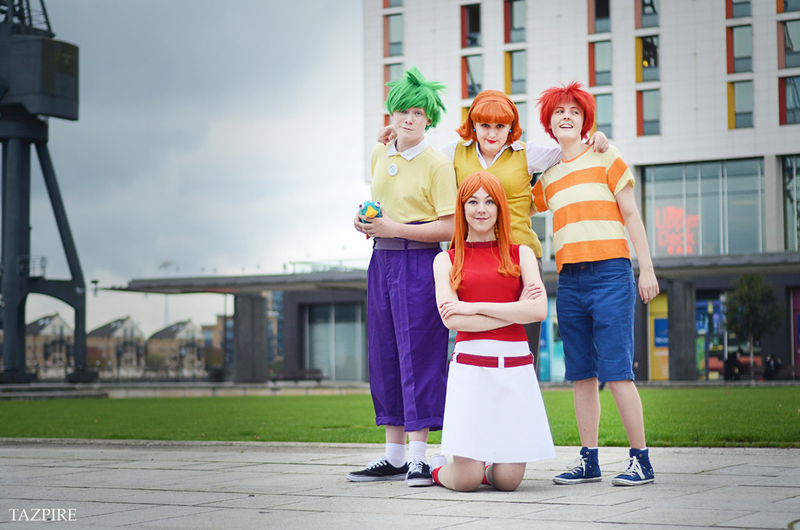 And here is a picture of me and the Phineas and Ferb cosplay! So please post your cosplays, I would love to see them! Pretty neat! The Emmet Cosplay is pretty great. These are really cool,and they look professionally done! Good job! I cosplay at cons too, it's pretty fun seeing a little kid react to seeing his favorite hero IRL. A very lazy character to cosplay as. Lab coat and a bottle of Dr. Pepper. Very impressive. I particularly like the Phinaes and Ferb. Why did no one tell me about this topic? I need to upload my pictures now! Ooooh a Cosplay topic, I'm working on my cosplay currently, it's gonna be of the character Dalian from Dantalian no Shoka. Making a dress is going be a pain...but fun. That is an awesome Emmet cosplay by the way. Me and some other Links who just showed up for a group photo. I'm on the far left. Try it, if you like dressing up than there is nothing better. But yes, it is an investment. That Link costume cost me around $200 American Dollars to make myself. And the Vaultsuit I'm working on should cost me just shy of the same. Those are never not funny. 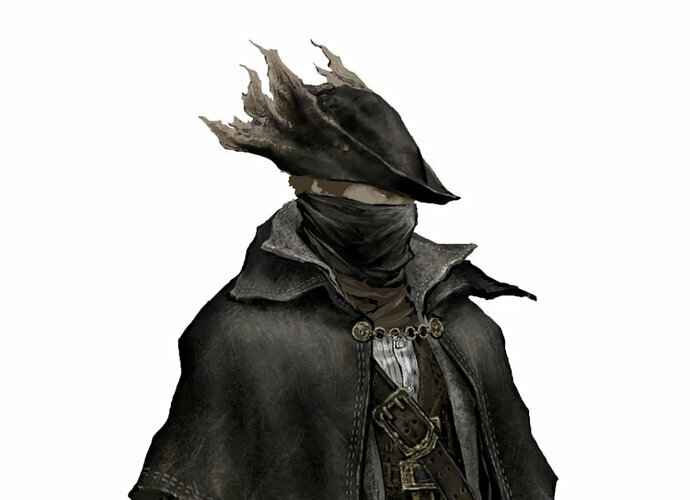 I'm thinking of making a cosplay for the Hunter from Bloodborne sometime. I'm currently working on the saw cleaver, going to woodcut it tomorrow. At school we just had media monday, where you could dress as a character from movies, memes, or vines. I went as Clark Kent by putting my hair in a combover, putting on glasses, and wearing a white button-up with a superman shirt underneath, a tie, black pants, and dress shoes. It was a pretty entertaining day. In typical Clark Kent fashion, a few people didn’t realize it was me at first. Halloween edit: Dressed up as the Winter Soldier! I stood in my yard, motionless, creeping people out. I alternated between holding a replica Captain America shield and an (unloaded) airsoft gun. When I had the gun, everyone was like “Ooh, he’s a special forces guy!” And when I had the shield, everyone was like “Look, son, it’s Captain America!” Despite the black outfit, robot arm, and mask. ONE kid identified me correctly. I suppose it’s my fault for not being able to pull off the movie haircut. I shouldn’t be surprised, though. Last year, I was Wolverine, with a red flannel, white shirt, dog tags, mutton chops, and metal claws. 90% of my neighborhood thought I was Freddy Krueger.